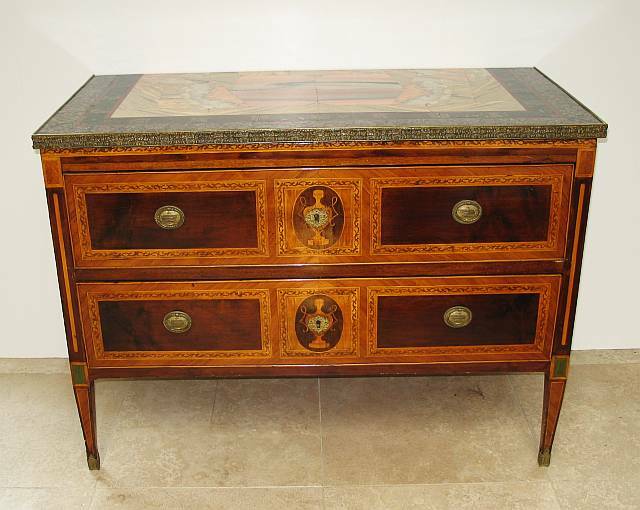 Late 18th century Neapolitan commode with variegated inlaid stone top of later date. Decorative Neoclassic satinwood and walnut veneers adorn drawer fronts and commode ends. Square tapered legs.